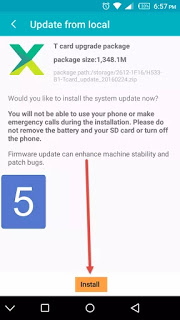 Hello fans, here is how to upgrade your smart MTK phones like lnfinix, Tecno, Gionee etc through a TCard Recovery Version. This TCard Recovery Version goes a long way to see you through if you are unable to update your smart device Over The Air(OTA). So have you tried using the other method and it didn't work out for you? if so, here is another great alternative to that. You might want to read: Latetest Method On How to Install Mediatek USB Preloader Vcom Port Driver On Windows PC. With this TCard Version, there is no need for PC, as you can carry out your device OTA update easily and safe, without the use of PC. Isn't that awesome? So far so good, everything about this upgrade, has been simplified now. This time around, no need avoiding upgrading your smart phones as a result of you not being able to use an sp flash tool, or fear of bricking your phone or no available PC for such an update. Some phones may be as a result of it not receiving Over The Air(OTA) update, then you avoid updating it. If that has been the case, then this guide is actually for you to explore upgrading your device. 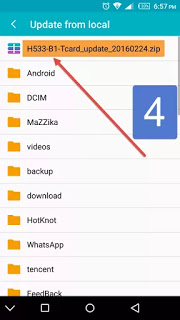 ==> After downloading the specific Tcard Version of your Rom, copy it into your sdcard. (Don't copy it into any folder, but just into the Sdcard). ==> Next, press your phone menu button in order to access the app drawer. ==> Click on where you see the "System Update" icon in order to open it. 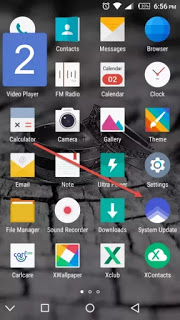 ==> At the top right corner of your device's screen, you will see three dot, just click on it in oder to access more option and select "update from local option". 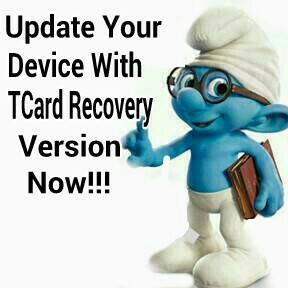 ==> Select the Tcard Version update you copied earlier to your sdcard memory. ==> Now click on install. ==>,Immediately after you click on install above, you device will automatically reboot and the update will commence afterwards. Bravo! your device has been upgraded, so enjoy the new feature. Note: Ensure your phone is not rooted before you start the upgrading. In case yours is rooted, click here and see how to unroot any device rooted.